1. 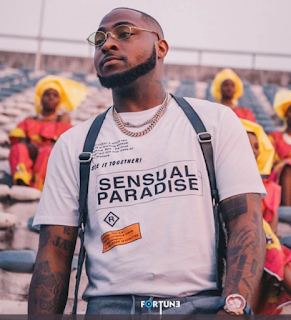 Davido Slapped Kizz Daniel's manager and Kizz Daniel angrily left with his crew without performing. 3. 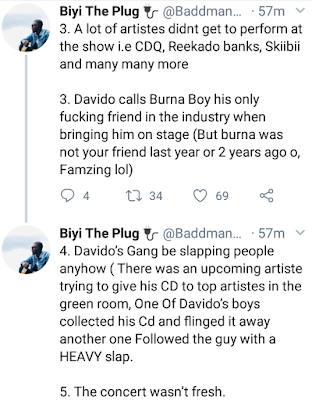 Davido only called artiste randomly in his head to come and perform (His people). 5. A lot artistes didn't get to perform at the show E.g, CDQ, Reekado Banks, Skiibi and many more. 7. 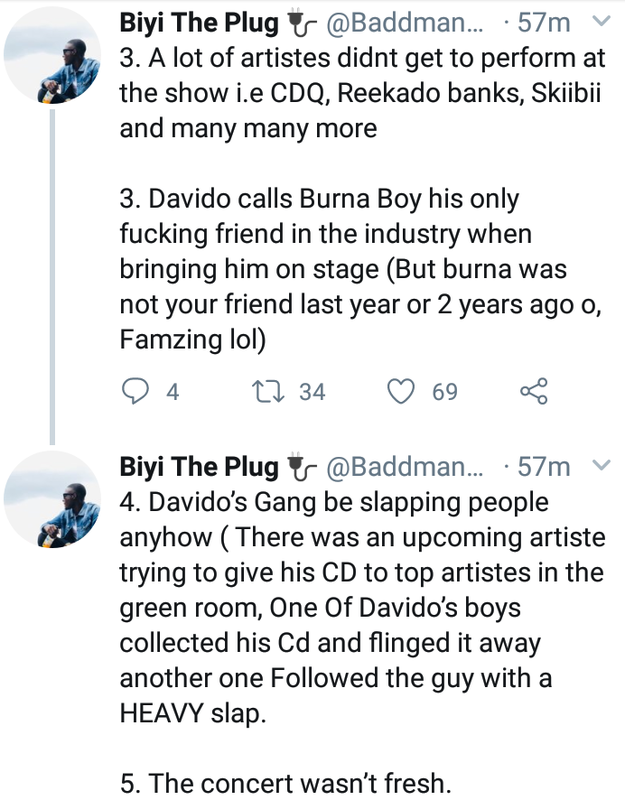 Davido's gang was slapping people anyhow (There was an upcoming artiste trying to give his CD to top artistes in the green room, one of Davido's boys collected the CD and flinged it away another one followed the guy with HEAVY slap. 8. The concert wasn't fresh.